First of all before understanding Talent management it’s important to know about talent that, what is talent? “Talent is the ability to learn and develop in the face of challenges” talent management is a process which ensures that organization attract, motivate and develop the talented people according to its need. The process to manage the ability and competency power of Employee within the organization by not restricting him for the right job on right time to Increase the quality of employees and get fruitful results. Talent management is not concerned to attracting the people it also includes the continuous process of the company hiring, promoting and developing them and meeting organization requirements. For example if organization wants to work with best talent and want people to join organization, Just hiring will not solve a problem the main task is what’s or how get a task, so we can say talent management is process that not only controls the entry of an employee but also his/her exit. Most important thing is that a goal or objective which is important for an organization to achieve is only possible when talented worker work within the organization. Organization must attract those people which are strategically fit for place or organization. Keep in mind that if an employee is placed wrong, he can create many problems whether he/she has skill, abilities and knowledge. It means that wrong placing defeats the company purpose. It’s process is incomplete if unable to place the person where he/she should be placed. Talent is an important factor for any organization and it is very difficult to maintain in the competition that’s why it must not be compromised at all. Therefore we can say that Talent Management is a never ending war in front of talent. It is a 1st stage which is playing a light testing role. The main purpose of this stage is to determine the requirement of talent (Wikipedia). This stage’s main activities are job description and job specificat0ion. 2nd stage of Talent Management Process involves searching best talent in different areas like industry and searching the best talented people which are fit for organization. This stage is very important because the whole process depends on this reason that the main aim is to hire the best or talented people for organization. The actual process on this stage because this stage is hiring stage. In this stage people are invited to join the organization. This stage involves selecting the people having same or different qualification and talent and candidates that are suitable for selection. In this stage recruit and select candidates and gave them training to get maximum output. Hiring them does not complete the purpose Retention is important factor. Retention depends on various factors like pay package, designation, development, facilities, Personnel development of an employee, culture and fit between job and talent. 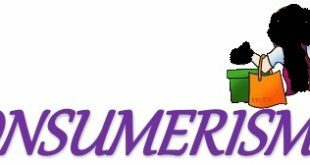 In this stage job enrichment plays important role because no one work in the organization at same job designation and responsibilities. Competency Mapping is important step which focuses on improvement, Knowledge, abilities and give future improvements. In this stage organizations check the performance of an employee which is necessary for achieving the organization objectives and it also checks the extra performance. Career planning is very important because if individual works handled then planning is very important which give way to achieve the target and reward. Top management needs to plan for the organization and successful succession planning about future. The employee has given best efforts to organization for a long time as it holds the top position. Management requires plan when and how tackle the succession when required. Abilities management process is very complex therefore, handling is very difficult. The whole process has only one purpose to place right person at right time. Recently we see that decreasing the job due to low economic development, which were most important managers to organization in their understanding were retained and others were sacked. Similarly, huge shuffles happened at the top position. Which are unlike means not responsible so the organization fired them. Due to lack of economic development also opened the eye of the organization to newer employment model which are contractual and temporary workers. It’s a new challenge for ability management to give training and development to people who work on contract or temporary basis. Organizations have mainly focus on minimum people hiring and unnecessary worker expel from organization. This situation creates DE-motivation among employees who are retained. For the development, investing on talented people which are good thing an organization can do to retain its top talent. Developing leadership means ability to takeout critical situation and also means that set goals and takeout uncertainty to certainty. Ensure that to get maximum output and give decision about organization. In this stage companies create ethical culture which means to control or setting the ethical behavior, reducing complexities and create positive image among employees. 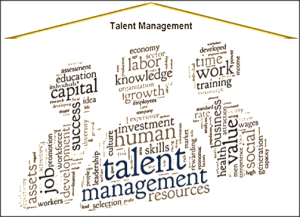 Talent management is used for HR function and organization development. Many Organizations use talent management for benefits. It also includes interview of Employee and discussing their development. This is used for succession planning and mapping people for the future. They have more benefits. It helps the best to hire people which are show quality of organization. Hiring best talented people will improve quality of organization. A proper research tells us that those people who have skills and strength, they think strategically which benefit’s the organization as well as perspective of employees because the right person on right job therefore increase the productivity and also job satisfaction increase. There is a major concern for the organization the lowest degree of repentance. The retention of top is very important for organization’s leadership . Organizations that doesn’t retain top talent, becomes a risk factor to their competitor. Now they are focusing that how to retain the people, they adopt different strategies and programs to engage the people. Colleague and employees give idea about coworkers their management and which informs their needs development, like, dislike, career aspiration, and abilities. Therefore it is easier know motivate about the employees which are helps to job enrichment process. HR professional needs planning for future manpower requirements and he prepares a deep bench of candidates or manpower inventories. In this situation better to keep bench strength low and hire from outside and fill gaps time to time. It’s not better for the organization to hire deficit worker which affect the organization culture. In this decision try to answer following questions; How long the talent required? Can we afford? Answer these questions to help talent management to keep or buy talent for the organization. How much authority employee should have over their own development? Organization make use the internal mobility source program which features in all the top organization. There is the best way in talent management to recover investment by reducing upfront cost by choosing alternative. Recently a method introduced by emerged sharing development cost with employees in many organizations. As discussed in Building Employee Loyalty, its proper implementation will also help in improving employee loyalty within the company because placing right people on right job will enhance their motivation and the results will be productive. Using proper talent techniques as discussed above will help Increase Employee Retention in Organization and hence will improve overall performance. (Consider these principles as guidelines and can vary due to different organization culture). Organization has to follow the high performance and better results through talent management practice. Organization must have succeeded by changing and increasing marketplace in these days. Selecting right person at the right place at the right time it will be better for the organization future. 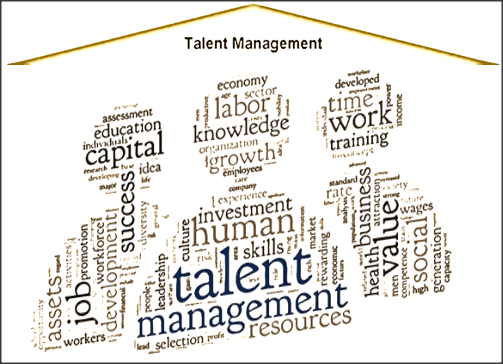 The Process of Talent Management Expalined with challenges and benefits of talent management. Great article. Very useful information shared about talent management process and benefits of talent management. Can you please differentiate between talent management and talent acquisition??? I need help on it. I am very pleased by the way talent management is explained here. What is the relationship between talent management and performance management? Talent management identifies the talented people and the performance management develops their skills through learning environment and they aware for opportunities in organization.